The elite Group of Eight universities have proposed that the Commonwealth government reintroduce limits on how many students each university can enrol, a suggestion slammed by other vice-chancellors as “cancerous” and “selfish”. The Group has released a paper calling for a “moderation” of the demand-driven system that allows universities to enrol as many students as they want. Group of Eight chair Michael Spence said the uncapping of university places in from 2009-21012 had blown out the budget by billions of dollars while leaving important university research underfunded. We are on track of meeting the goal of 40% of young people with an undergraduate degree by 2025. It’s time to declare victory on university participation and focus on the core problems for university funding. Spence, the vice-chancellor of the University of Sydney, said the government should consider placing an overall cap on the number of students each university can enrol and let them decide how many students are enrolled in each discipline. This would allow the government to invest more money directly into research. Spence said it was important students are given a “genuine choice” about whether they should study a vocational course rather than go to university. 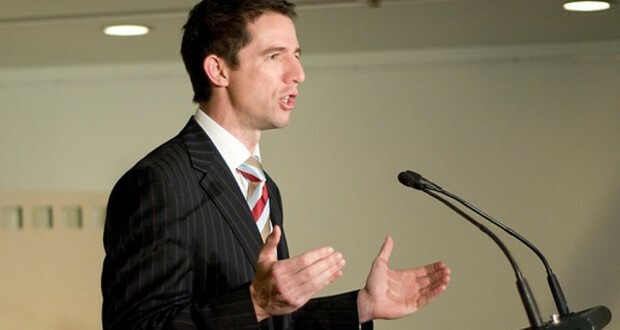 Education minister Simon Birmingham rejected the proposal, saying he had no desire to dictate how many students each university should enrol. The demand driven system has particularly provided low socio-economic students and Indigenous students with greater opportunities to enrol in a higher education course. The alternative to the demand driven system is to return to a world where Canberra bureaucracies decide what university places should be available and where. Australian Catholic University vice-chancellor Greg Craven said capping university places would see more disadvantaged students locked out of university. The Group of Eight has no interest in equity or opportunity for students – this is all about money. This is a group of profiteers who would do anything for their own self interest. The politics of this are cancerous. Charles Sturt University vice-chancellor Andrew Vann questioned the Group of Eight’s motives, given university enrolments appear to be stabilising. This is a selfish idea because they have been naked about the fact they want to shift the money into research. That might help them move up the global rankings but would it really help Australia? Peak body Universities Australia has been a strong supporter of the current demand-driven system, saying it has significantly expanded access to higher education. Grattan Institute higher education program director Andrew Norton, who conducted a major review of the demand-driven system for the Abbott government, said arbitrary limits on student numbers were a “bad idea”. This would lead to more behind-the-scenes backroom deals and I’m not convinced that would be a good process. What now? asks Gavin Moodie (RMIT) in The Conversation. While across-the-board full fee deregulation has now been dumped by the Coalition, fee deregulation of so-called “flagship courses”, first mooted in the Review of Base Funding in 2011 (with the significant qualification that such fees be capped at plus 50% above what they would otherwise be), looks a hot prospect for a re-elected Coalition government (as does a raising of the cap on other courses by some percentage). That is, of course, still moot: an incoming Labor government would be ostensibly committed to additional public investment in higher education. Whichever side wins will have its hands full, And there’s the likely prospect that whatever the colour of the government, it will not have a majority in the Senate. This year’s budget set us back to 2014. In the 2014 budget, the government announced that fees would be deregulated. While this was a toxic political move, it wasn’t toxic enough to be dumped from the 2015 budget, which was another lost year for higher education. 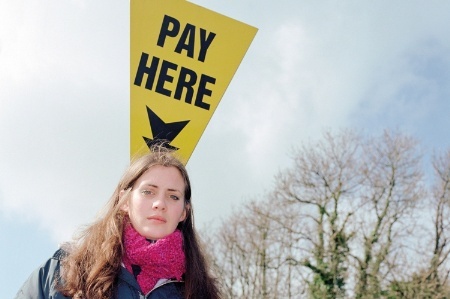 While, this year, the government finally ruled out full fee deregulation, it is still contemplating uncapped fees for some courses in its higher education consultation paper. It has also dropped all the worthwhile proposals from 2014, such as extending the demand-driven system to sub-baccalaureate programs. As expected, the government added cuts of A$152.2 million over four years, or 22%, from the Higher Education Participation Program – which funds universities to bring in students from low socioeconomic backgrounds. It also cut $20.9 million over four years by closing the Office for Learning and Teaching, which supported scholarship on major improvements to teaching and learning. All that remains is $4.5 million a year for good teaching awards. As valuable as these are, they recognise individual performance rather than disseminate good practice throughout the sector. While the government has relegated the improvement of teaching and learning to universities, it has increased funding for co-operative research centres by $46 million, or 32%, by 2020. This reinforces the view that while teaching and learning is universities’ most important role, in national policy, it is very much a second priority to research. Rather than announcing any changes, the government released a consultation paper on proposals for tackling many of higher education’s unresolved issues. While the sector generally welcomes the belated consultation, as the government is moving the election forward to July 2, it doesn’t have any time before the election to progress any of the options it canvasses. The government, from Tony Abbott to Malcolm Turnbull, has spent a whole term in higher education policy paralysis. Nonetheless, the Coalition is still contemplating uncapped fees, initially for only some courses that would be proposed by universities. … committed to providing universities with additional flexibility to innovate, differentiate themselves and offer students more choice and higher quality offerings. … universities flexibility to attract additional revenue in courses where they have developed particular expertise would enable them to innovate and differentiate themselves and pursue their individual vision for higher education excellence. While the government adopts from the 2011 higher education base funding review the term “flagship courses” for programs with uncapped fees, its proposals are markedly different from those recommended by that review. It recommended that funding for flagship programs be increased by up to 50%, with the additional funding “met through a matched increase in both government and student contributions”. In contrast, the consultation paper proposes that government funding for flagship programs be cut and that fees be uncapped and monitored by the Australian Competition and Consumer Commission, or be approved by an independent body. If they don’t cause too many problems, the flagships will become a fleet of deregulated fees. The government will expose itself to similar problems that arose from 2009 when the then-Labor government relaxed conditions for the loan program for vocational diplomas, called VET FEE-HELP. As successive governments found in trying to curb the runaway explosion of VET FEE-HELP loans, doubtful debt and scams, withdrawing concessions is much harder than granting them. If a re-elected Coalition government manages to uncap fees for some programs from 2018 there should be a simple but strong mechanism for returning fees to their caps should the experiment go as badly wrong as many fear. remove the HECS-HELP benefit, which reduces HELP repayments for education, nursing and other graduates working in a related occupation. Before the budget, the government released a discussion paper on redesigning VET FEE-HELP, which proposes several measures to end the scamming of the program. As a result of these measures, and the withdrawal of the decision to uncap fees, the government estimates that the proportion of new debt not expected to be repaid in 2017 is 18%. This is markedly down from the 21% estimated in last year’s budget and the 23% in the 2014 budget. Gavin will be on hand for an Author Q&A between 11am and noon AEST on Thursday May 4, 2016. Post any questions you have in the comment section below. What we don’t yet know, is whether these will continue to be the government’s position in the lead up to the election. And here it is worth reiterating that Universities Australia had suggested a number of amendments to these proposals. Nor is it consistent with the government’s stated aim of having innovation at the heart of a strong economy. Almost two years of policy insecurity and uncertainty is taking its toll on the ability of universities to plan and allocate resources in their student’s best interests. It is difficult to imagine any other industry tolerating such policy instability. Yet when it comes to higher education – the majority contributor to Australia’s third largest export industry, the cornerstone of Australia’s innovation future, and a $140 billion contributor to our economy in 2014 – the rules are different. It remains the case that policy and funding certainty and stability continues to be the sector’s number one advocacy priority. The opposition has released a comprehensive higher education policy but questions remain – not least around base funding and the means for sustaining the system over the longer term. In recognising the issue, education minister Simon Birmingham has broadly consulted with stakeholders as he considers options for change. We encourage the government, and again I don’t think it unreasonable, to make its position clear – sooner, rather than later. The time has come for a national agreement on the future of higher education in this country. We have strong views, we have our own ideas, we have invested a great deal in the research and analysis that informs those ideas and we have strived to posit a way forward but we do not pretend to have all the answers. It is no secret that while there is a great deal on which vice-chancellors are in substantial and unwavering agreement, there are matters of continuing debate among us. However, the most important debate on higher education in this election year is not the one within the university sector but the public debate: the engagement our political leaders have with the Australian people. Universities Australia, like all of us, wants that debate to be open and informed. the implications of these policies for students, universities, industry and indeed government itself over the longer term. So with an election in the offing, I take this opportunity on behalf of Universities Australia to urge both parties to engage in a sophisticated public debate and purposeful discussion on the higher education, research and indeed, innovation challenges we face today and in decades to come. The discovery of gravitational waves and the enormous possibilities of the SKA not only inspire us, but remind us of just what can be achieved when universities, researchers, industry and governments share their knowledge, combine their experience, and apply their expertise to an agreed end. It reminds us that innovation not only requires deep and sustained collaboration between and beyond universities but patient and serious investment. It reminds us that we should dare to imagine what might lie beyond what we know today. If we are as a nation serious about our intellectual development, about research and innovation, about a new economy fuelled by ideas then we need to think about education as an essential government responsibility requiring high levels of sustained investment over the long term. We need to think about education as we think about the economy: the means for personal security and national prosperity. We need to think about education in the way we think about the arts: as food for the soul and as the expression of who we are as individuals and as a society. That is why this debate matters. The time really has come for a national agreement on the future of higher education. Deakin University is considering withdrawing from its Warrnambool campus, about 250km south-west of Melbourne, amid a steep decline in student numbers, from 1,342 students in 2011 to a forecast 872 students this year. Deakin vice-chancellor Professor Jane den Hollander says the university hopes to maintain the campus, but that “all options” are on the table. Den Hollander has made it pretty clear that the preferred option is another provider – such as Federation University – taking over the campus but if that can’t be negotiated then closing the campus is a real option. In any event, she doesn’t seem to see a future for Deakin at Warrnambool. She said there is a growing gap between what Deakin offers and the “particular needs of the region’s students, businesses and the broader community” which is mostly in the sub-degree space (certificate and diploma level). While Deakin doesn’t itself offer sub-degree programs, it does have partnerships with other providers. In particular Deakin College, formerly MBIT, provides a Certificate IV in Tertiary Preparation and a range of diploma programs on the three other Deakin campuses (Burwood, Geelong Waterfront and Waurn Ponds) and off-shore in Jakarta. Successful completion of the Certificate can lead into the first year of a Deakin degree while completion of a diploma leads into the second year of a Deakin degree. Some 15,000 students have taken this pathway since 1996. Federation University would be in a strong position to take over Deakin’s Warrnambool campus, according to vice-chancellor David Battersby, due to similar missions and strong links between the Ballarat-based institution and Victoria’s southwest. The news of Deakin’s likely exit has led to dismay within the Warrnambool community. Students have launched an online petition, which has gathered more than 1,000 signatures in less than two days, calling on Deakin University to “stand by Warrnambool”. Second year law student Mikaela Ryan-Pinch is behind the campaign and said the campus was the “fabric” of the regional hub. If the university was to close its doors or change providers, it would put an end to a lot of students, young people and mature age people, trying to seek a higher education. Wannon MP and Liberal frontbencher Dan Tehan says the community had been blindsided by the announcement. It’s come as a total shock and what we need is a full explanation as to what has happened and we need that this week. He said a public forum to discuss the university’s future will be held on Friday 18 March as a “show of solidarity”.
. The National Tertiary Education Union’s Matthew McGowan said the loss of the regional campus would “cripple” local prospects. Students, particularly in regional areas, are significantly impacted by access to higher education. If you’ve got a university in your town, your chances of getting a higher education and greater opportunities in life are significantly increased. He said the union will fight moves to reduce services. Monash University says it will close its Berwick campus in Melbourne’s outer south-east unless it can partner with another university on the site. The university said it will stop teaching at Berwick by the end of 2018 after a deal with Victoria University (VU) to use the campus fell through. Monash University’s pro vice-chancellor Professor Leon Piterman said negotiations with VU to use the site had gone on for some time. “With students with lower ATARs achieving entry into VU, they would potentially meet the needs of the region better than what Monash might,” he told the ABC. Monash University vice-chancellor Professor Margaret Gardner said enrolments at the campus had been consistently low, making it difficult to provide a “full student experience”. Just 300 new students enrolled at the campus in 2016. There only three faculties on the campus — business, education, nursing — and enrolments are low, with only 1,600. Monash has 67,000 students overall, with almost 30,000 at Clayton and more than 20,000 at Caulfield and 3,800 students at its Peninsula campus. Monash is apparently still interested in another university coming to the campus. The university will need the approval of both the Victorian and Commonwealth governments to pull out of the site. Monash has long had an ambivalent attitude to the campus. A decade or so ago, then vice-chancellor Richard Larkins wanted to close the campus and sell off the property. Then education minister Lynne Kosky blocked the move, pointing out that site had been acquired for tertiary purposes in a messy and protracted compulsory acquisition process that ended up in the Supreme Court and had to be maintained for those purposes. Larkins’ successor Ed Byrne came up with a plan to create a Monash “federation” of semi-autonomous campuses, with a plan to grow the Berwick campus to 12,000. He quietly abandoned that plan in the face of staff hostility and subsequently passed off Monash’s Gippsland campus to the now Federation University. To actually take a major player like Monash University from there is absolutely nonsensical. We’ll be writing to both governments in the course of this week making it very clear that the City of Casey is absolutely opposed to this proceeding any further. Victorian minister for skills and training Steve Herbert has written to Commonwealth education minster Simon Birmingham to help keep the campus open. We have offered Monash any assistance needed to continue education at the Berwick campus or until arrangements can be made for another suitable provider. The continuing travails of peri-urban and regional campuses might give a kick along for the development of a new university model, allowing teaching only universities. If there is the collective will, a window of opportunity has opened for a serious discussion about the future architecture of Australian tertiary education and the funding mechanisms that would encourage genuine diversity to flourish, write Richard James and Leo Goedegebuure. After two lost years the sector desperately needs funding reforms. But how can the debate be placed on a new footing? We believe the answer lies in returning to first principles: what kinds of institutions, and what mix of institutions, would best serve Australia? Our thinking is simple: let’s develop a farsighted vision for the character of the tertiary education sector as the precursor to developing a restyled funding, per­formance measurement and regulatory framework. This may be an ambitious idea but the logic behind it is compelling. The Turnbull government’s decision not to pursue Christopher Pyne’s deregulation package is very welcome. There is a risk, however, that any hastily revamped student fees package will fall into the same ruts that beset Pyne. One reason for the failure of the Pyne package is that the debate largely put the cart before the horse. Somewhat bizarrely, the funding reform was launched without any discussion of the structure of the higher — let alone tertiary — education system. We believe lip-service has been paid to diversity in higher education. The reality is that a one-size-fits-all funding and regulatory system has made all universities tread roughly similar paths. Given that universities had different starting positions, this logically implies that we see some diversity in institutional trajectories. But this is curtailed by a policy straitjacket. As a simple example we need look no further than the Melbourne Model. This is surely a desirable example of diversification yet it has required the University of Melbourne to be treated as an exception within the national policy framework. This is hardly the flexibility needed to future-proof Australian society. We know that the 21st century is about continuous and increasingly rapid change and complexity. We also know that our economy primarily is a services economy. This squarely places us into the knowledge economy, requiring a highly skilled and developed workforce that is adaptable, creative and able to operate across disciplines, work in teams, be (inter)nationally engaged, and trained for jobs that do not yet exist. To achieve this, Australia needs universal tertiary education participation driven by a carefully differentiated tertiary sector. Because our innovation ecosystem is diverse and our future challenges complex, the tertiary system should have the diversity to match, following Ashby’s Law of Requisite Variety. This poses serious design issues, but nevertheless is our only way forward. Consider the University of Tasmania as an example of an institution with a distinctive mission and particular challenges and opportunities. It must use research and innovation to help build new industries for the island. It must also work with educationally disadvantaged communities to help raise the socioeconomic profile and lift school completion and tertiary participation rates. It must work with local industries to lift productivity. And it must install the genes of innovation and entrepreneurship in its students. These complex challenges require a complex set of actions at a variety of levels, ranging from the lower certificates to the (professional) doctorate and across the full research spectrum from blue skies to seriously applied. Perhaps in a single university and TAFE state system these challenges can be met by single institutions with multiple missions, but it is very easy to see how very different sets of activities and focuses are needed, how these are to be linked with key stakeholders, and how distinctly different incentive schemes need to be built to drive behaviour. It is almost impossible to orchestrate this from a single vantage point with a single framework. Australia as a nation faces a similar problem, but on an even greater scale. We do not suggest for a moment that the creation of a differentiated sector and complementary funding model will be an intellectually or politically simple task. Clearly it won’t be, but it is absolutely necessary if we are to remain a prosperous and socially cohesive society. This means that the assumptions that are the legacy of John Dawkins’s unified national system have to be confronted. More explicit institutional differentiation is an unwelcome prospect for many people, for it raises the spectres of vertical stratification, funding inequalities and social polarisation. These are legitimate concerns to be taken into account in the system design process. But these should not be the bottlenecks that deter us from the challenge of building a truly diverse system. Is there the imagination and courage for such a truly creative feat of policy-shaping? A tough gig for a young minister in Simon Birmingham, perhaps, but equally the kind of challenge a reforming politician ought to be willing to embrace. The frightening alternative for Birmingham is fruitless sifting through the embers of the Pyne package in the hope that something can be recovered. Richard James is director of the Melbourne Centre for the Study of Higher Education and Leo Goedegebuure is director of the LH Martin Institute at the University of Melbourne. This article was first published in The Australian on October 2015. The Commonwealth government has released a synthesis report of the past seven reviews of higher education over the past 30 years rather than conducting a further separate review in the wake of its failed higher education reform package. Education minister Simon Birmingham told the Australian Financial Review’s Higher Education Summit said that the government is under intense time pressures to come up with a new and revitalised higher education reform package after its the package devised by former education minister Christopher Pyne was rejected by the Senate twice, largely due to intense community opposition over the plan to deregulate university fees. The background paper summarises the findings of each major review of higher education from the 1988 Dawkins White Paper to the 2014 Kemp-Norton Review of the Demand Driven Funding System. Birmingham said he had decided to reap the wisdom of these previous reviews rather than hold another one as he tries to push reset on the government’s failed higher education reform package. These reviews show that for almost three decades Australia has been grappling with how to enable more students to access the benefits higher education offers – in terms of employment, earnings, social and cultural opportunities – while ensuring the system remains fair, high quality and affordable for both individuals and taxpayers. He says he hopes to have a new reform package ready to take to the Senate by mid-next year before the expected date of the next federal election. Birmingham flagged to the conference that a watered-down version of fee deregulation was still on the agenda, but acknowledged that Labor ran an effective campaign over $100,000 fees. He also flagged a possible overhaul of the HECS system and expansion of sub-degree places, saying “there is a valid need to stop treating non-degree bachelor and non-university pathways as second class options”. While he will look closely at extending government subsidies to private colleges because it would encourage diversity, Birmingham said he is very wary after widespread rorting in the vocational sector. He said quality must be guaranteed and government funding must never be structured in such a way as to attract providers like bees to a honey pot,”adding that he had been “somewhat scarred” by his role in having to “clean up in the poorly regulated vocational education market”. The synthesis report identifies five overarching themes that had been common to all seven of the previous reviews even though student numbers had more than doubled during that time, now numbering over one million. Common themes included how to adequately finance teaching and research while maintaining quality, as well as finding the right balance between student and government contributions have been central to all seven reviews. Each of the reviews has also struggled with how to continue to expand the number of places, especially among under-represented groups, due to the need to produce graduates with the skills needed for new and emerging sectors in the economy. All have also addressed diversity, or the lack of it, between institutions. In response to commentary deprecating The Household, Income and Labour Dynamics in Australia Survey: Selected Findings from Waves 1 to 12 by Roger Wilkins of the Melbourne Institute of Applied Economic and Social Research at The University of Melbourne, Conor King, the Executive Director of the Innovative Research Universities Group, provides his perspective on the valuable insight which the Survey presents. The Survey confirms the earning value from higher levels of education, particularly for women. It shows that, for women, having a higher education degree is important for the likelihood of employment. That is not so for men who tend to be employed but with lower earnings if not a graduate. The new aspect coming from the survey is the hint that school results let alone intelligence are not long term strongly correlated with income. Rather it is the fact of education. The report’s tables of graduate earnings include two versions adjusted and not adjusted for cognitive ability (based on tests which HILDA administers to its participants). The interesting point is that the results do not alter much when adjusted for those tests. My reading is that the report supports arguments that end of school capability does not carry through to later year outcomes, at least if measured by income. This is a further blow to the use of the ATAR as a valid sorting mechanism for excluding applicants when places in a course have been limited. In short while some like to argue it is not where you study but what you study, the Survey shows that what matters is that you do study. It is further confirmation of the drive since WWII to expand take up of higher education, in particular the sense of the Dawkins reforms whose graduates make up much of the HILDA cohort. It is too early to test whether the expansion since 2009 through demand driven funding will show the same outcome but nothing in the results suggests the contrary.